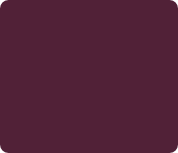 Constantine I the Great was held both in the highest esteem and in the lowest contempt by his contemporaries. Some praised him for saving the Roman Empire and other damned him for hastening the Empire’s demise. Such an ambiguous evaluation has carried on to modern times, in which some revere him as a saintly visionary and others condemn him as a debauched tyrant. So, what are we to make of the man that historian have dubbed “the Great”? 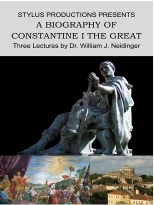 In these three lectures we will trace the course of Constantine’s long struggle against seemingly insurmountable odds to secure the position of sole ruler of the Roman Empire. But that was just the beginning of his struggles. The Empire was in financial, military, and legal shambles; even his contemporaries realized that the Empire was disintegrating. Constantine was confronted with a choice: continue the course with the policies set by his predecessors (like Diocletian) or sail the ship of state into new uncharted waters. As students of history, we are faced with the question: did Constantine’s actions prolong the life or hasten the death of the Roman Empire? That is the question we seek to answer in this three-lecture series. 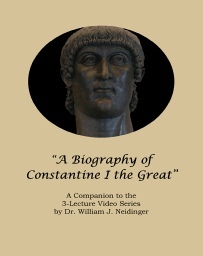 Constantine and the Fate of the Roman Empire. Purchase or rent individual lectures or the entire series. Special pricing for the entire CONSTANTINE series.